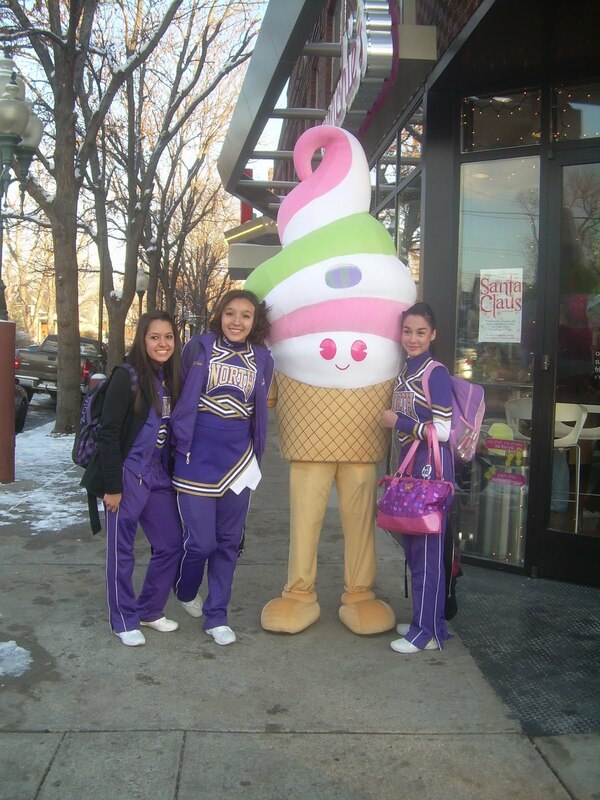 Thanks to everyone who attended the grand opening celebration of Menchie’s Frozen Yogurt in Highland over the weekend. 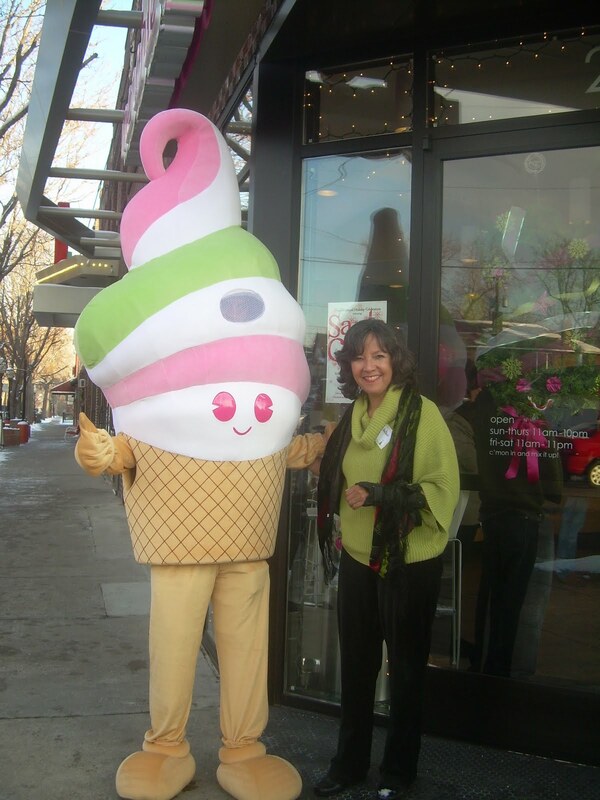 The three day event, which included free yogurt, face-painting, arts and crafts, a blind yogurt tasting, open mic performances and prizes, was a big success, attracting residents of all ages and such dignitaries as Denver City Councilwoman Judy Montero and Denver City Auditor Dennis Gallagher. 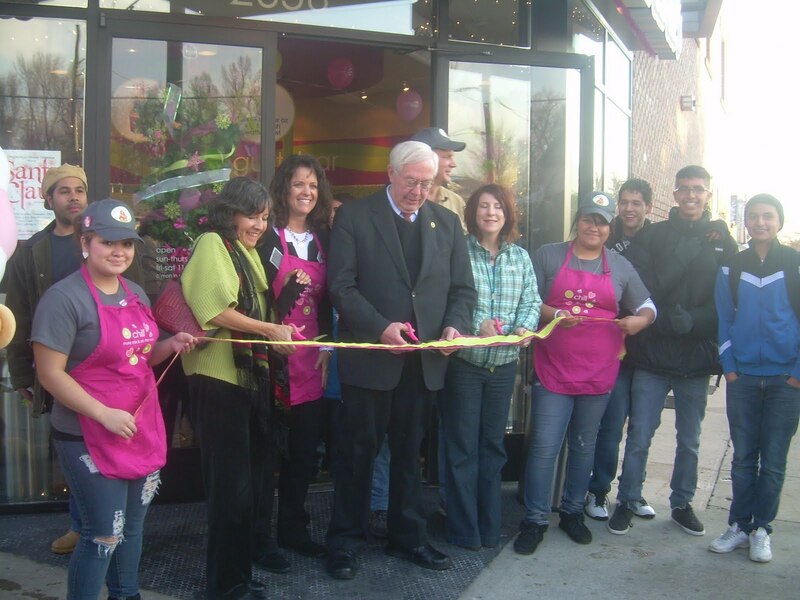 A longtime Highland resident, Gallagher cut the ribbon for the store’s “official” opening with Montero and representatives from the Tennyson Center for Children. 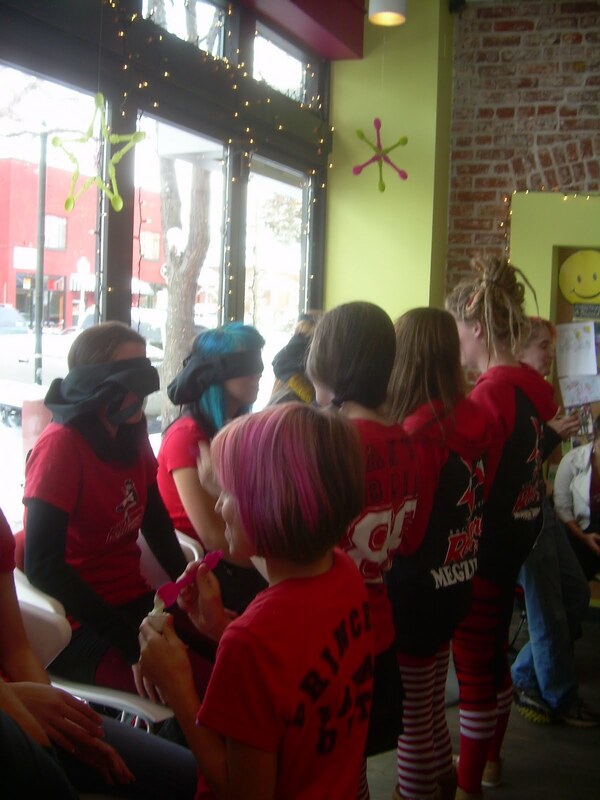 Menchie’s Highland Owner Cyndi Hause graciously donated a portion of sales from the weekend’s festivities to the the Tennyson Center and the the junior roller derby league, the Rocky Mountain Roller Punks, raising $500 and $475 for each organization respectively. Here are members of the Roller Punks blind tasting some of Menchie’s numerous flavors. Fundraising will be a key component of Menchie’s involvement in the Highland neighborhood going forward. The shop is already serving as a community gathering spot for North High School students and local families and is helping to further the revitalization efforts that have breathed new life into the corner of 32nd and Clay Streets. If you haven’t stopped in to Menchie’s yet, I encourage you to check it out. The shop offers more than 100 rotating yogurt flavors (ranging from green apple tart to New York cheesecake) made from its own private label. The shop is open from 11 a.m. to 10 p.m. Sunday through Thursday and 11 a.m. to 11 p.m. Saturday and Sunday.